This Green Chile Mac and Cheese is a win win dinner in our house. If I allowed it, my husband would live off of macaroni and cheese and if I had my way, everything would have spicy Mexican flavors in it. So to satisfy both of our cravings I made this creamy, cheesy, slightly spicy Green Chile Mac and Cheese. In case you haven’t noticed Hatch green chile season is upon us and I can’t get enough of them. If there’s ever a question as to where I might be, head to the nearest store or farmer’s market that is roasting chiles that day and you’ll find me hovering over them breathing in the smokey, spicy aroma and wiping drool from the corners of my mouth as I anxiously wait for the chiles to be ready. If you are unfamiliar with Hatch chiles here is a little history on them. First off did you know chiles have been in existence for over 10,000 years?! New Mexico is the leading producer of chiles in the U.S. and Hatch, New Mexico is known as the chile capital of the world. Many people believe that chiles are vegetables, but they are actually a fruit according to horticulturists and a berry according to botanists (maybe this is why they taste so good in an apple pie)! A few nutrition facts about the green chile are, they have more vitamin C than citrus fruits, eating chile peppers helps you burn more calories by boosting your metabolism, the peppers have been known to give you the same kind of “high” that exercise can, and capsaicin (the active ingredient in chile peppers that gives them their heat) has been used to relieve back pain, joint pain, and muscle pain. So as you can see, these spicy little green peppers aren’t just for giving food a little heat! Now I know people tend to shy away from macaroni and cheese if they are watching what they eat. However, this version I’ve made for you is a little more figure friendly. For starters I used whole wheat macaroni. But I don’t like whole wheat pasta you whine say. I urge you to give it a try in this dish. With all the flavor from the sauce, cheese, and chiles, you hardly notice that the pasta is whole wheat. I also used a minimal amount of butter, 2 tablespoons, and instead of whole milk I switched it to skim. I chose to use a very flavorful cheddar cheese with Hatch green chiles in it which allowed me to use less cheese and still keep that rich flavor. So while this version of macaroni and cheese isn’t bursting with butter, cream, and mounds of cheese, it is still super creamy, cheesy, and most importantly packed full of that slightly spicy Hatch green chile flavor. 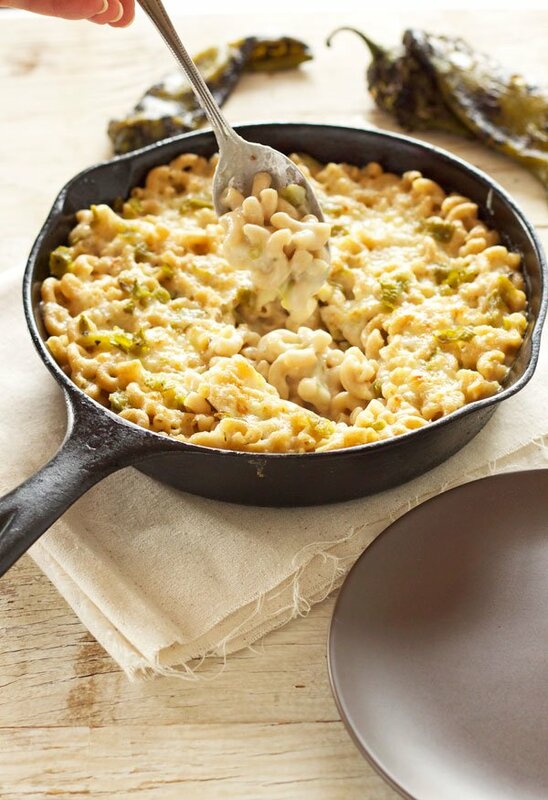 The Green Chile Mac and Cheese makes a great meatless meal or if your prefer it would be great with some grilled chicken or even some chicken chopped up and added into the macaroni. However you decide to eat this mac and cheese I promise it will wake up your tastebuds and have you reaching for another scoop! 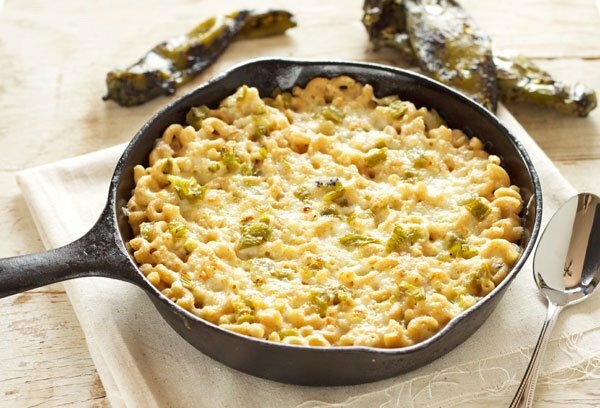 Smokey roasted Hatch green chiles turn this average mac and cheese into a slightly spicy and flavorful treat for your tastebuds! In a large pot bring the water to a boil, add in some salt, and cook the macaroni according to the box instructions. When the pasta is cooked to al dente, drain it in a colander. In the same pot over medium high heat, melt the butter and add in the diced onion. Saute the onion in the butter for 2 minutes and then add in the flour. Whisk the flour into the butter and onion mixture and let it cook for about a minute. Slowly whisk in the milk and salt, until the sauce is smooth. Continue whisking until the sauce has thickened, about 3-5 minutes. Add in the diced green chiles and 1 1/4 cups of the cheese. Add the pasta back into the pot and toss until it is completely covered in the sauce. Transfer the mac and cheese to a cast iron skillet or baking dish sprayed with cooking spray. Top with the remainder of the cheese and place under the broiler until the cheese is slightly brown and melted. Beautiful pictures and what a great way to spice up mac & cheese. I need to make this!! Thanks Matt! Those Hatch chiles really add a lot of flavor. Now this is the way to do mac 'n cheese! I love all of the different textures in your photos. It makes me yearn to sit down in front of that meal. Aww thanks Dara! I wish I could send you a plate of it to enjoy! 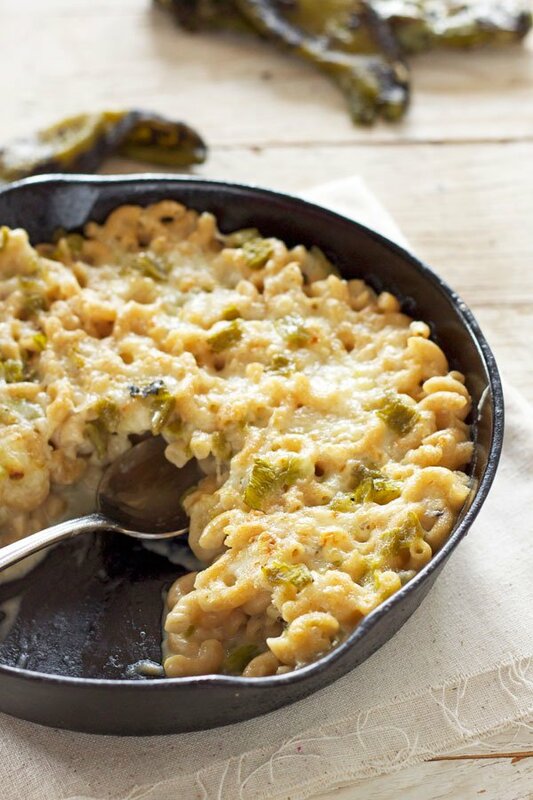 I LOVE, LOVE, LOVE green chiles and mac and cheese is always a favorite. I love this combo you came up with. Pinning immediately! Thanks Erin! 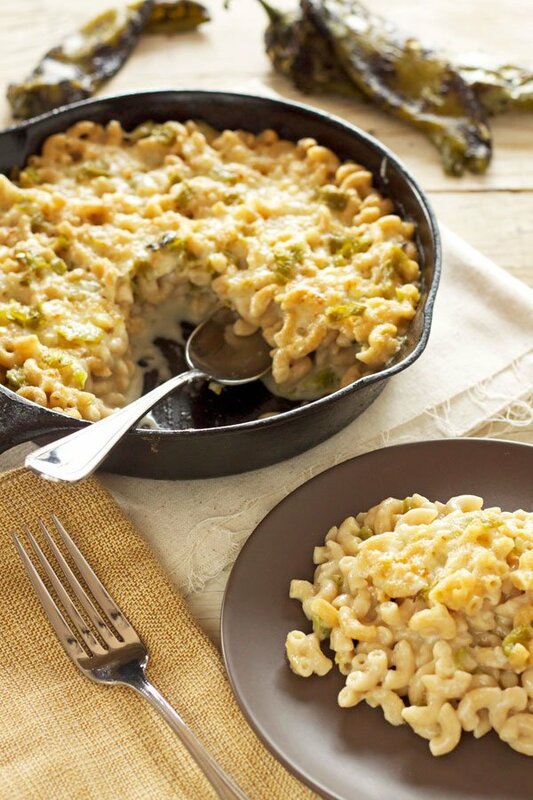 If you love green chiles, then you will definitely love this mac and cheese! I think my husband would ask me to marry him all over again if I made him this dish! It's a winner in our house! Haha! That sounds like my husband anytime I make mac and cheese! love a good mac and cheese! craving a bowl right now.. definitely know what im making for dinner tonight! It's so good Thalia, I hope you love it! This is the ultimate comfort food! I love the combination of warm gooey cheese with the heat from the peppers. Pinned and can't wait to try!! Thanks Christin! I absolutely love the chiles mixed in with it! Chili mac!! Love them Hatch Chilies! 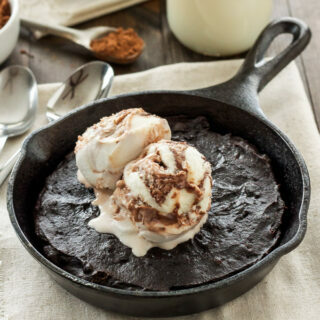 I could eat the whole skillet! Haha! You and me both Julia! yumyumyum! 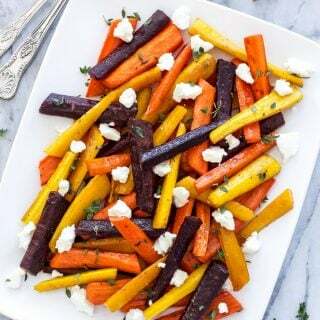 I'm loving that cooler weather is coming because that usually means warm comfy foods like this one. I love the addition of the chiles. Thanks Bri! While I'm not quite ready for cold weather yet, I am ready for the food! And who wouldn't live off of mac & cheese especially when you throw some green chile it!! I could live off of this dish alone. :) Can I have this for breakfast this morning? Haha! Absolutely, sounds like a great breakfast to me! I just made this! It was so easy and had so much flavor. I'm adding this to my thanksgiving food list. Thanks for sharing! Yay! Thanks so much for trying it Carli, it's one of my favorites! Had this at Alamo a Drafthouse! 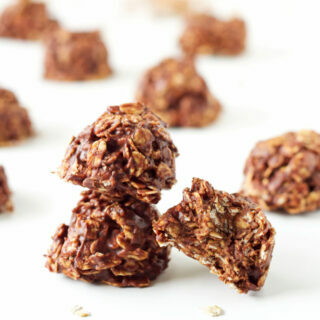 Thanks for the recipe!!! Thank you for mentioning Hatch Green Chile. We would love to send you a free box of our Hatch Green Chile to say thank you. If you're interested, please send me an email with your address and heat preference.